CounterPoint’s SQL Multi-Store POS system is a solution for an entrepreneur that wants to expand or scale their empire by opening more business locations. This is a solution for an entrepreneur that wants to expand or scale his/her business by opening more business locations. It allows business managers and entrepreneurs to keep track of their point of sale, inventory, and customers from multiple locations. The software can also let them examine any customer transfers and returns. An in-depth analysis of purchased and transferred inventory can also be viewed remotely with the Multi-Store POS system. 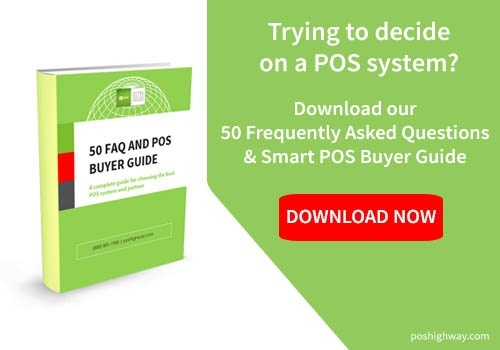 Since it can track and coordinate every aspect of many retail stores and inventory warehouses, many business owners are purchasing multi-store POS systems to oversee their stores. A Multi-Store POS system can accurately track the inventory and sales information for up to a thousand store locations. The software can help business owners safely and efficiently grow their business when they would like to open more stores in the future. All financial and inventory data is protected with a high-level security firewall and configured with a switch and file server. Owners can rest assured that their information is stored remotely in a safe location. Another advantage of using the software is that it can share and automatically update important company data with multiple locations. This is done by allowing each store location to subscribe to the system so that it can instantly log each piece of inventory and sale from each store. Business owners that have a warehouse with multiple point of sale terminals should seriously add. CounterPoint’s Multi-Store POS system to their company’s arsenal of how to strategically expand their business. A multi-store POS system can also work with any existing integrated credit card software. The software license for this system will depend on the number of office personal computers and point of sale terminals. However, this software is a perfect combination to track accounting and inventory.